If you’re a fan of the Real Madrid football club, you’re going to want this spectacular Viceroy Real Madrid Chronograph. Spaniards are passionate about their sports heroes. 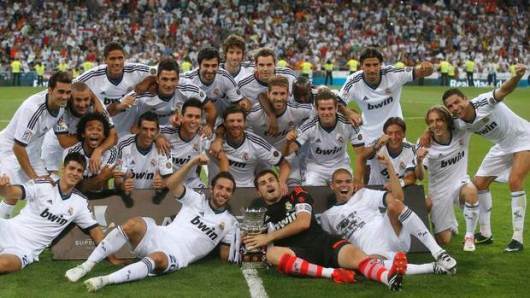 Two-time F1 Racing World Champion Fernando Alonso and Madrid’s Real Madrid football club are both national treasures. They are also brand ambassadors for Spanish watchmaker Viceroy. To honor their country’s fabled football club; Viceroy has created a special collection of Real Madrid watches. These big, bold sports watches are as memorable as the athletes they celebrate. 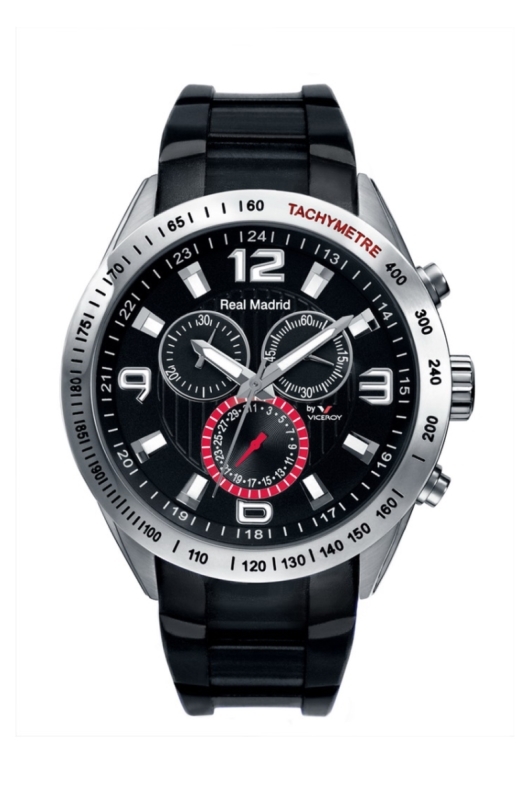 The showpiece of the collection is the impressive Real Madrid Chronograph. 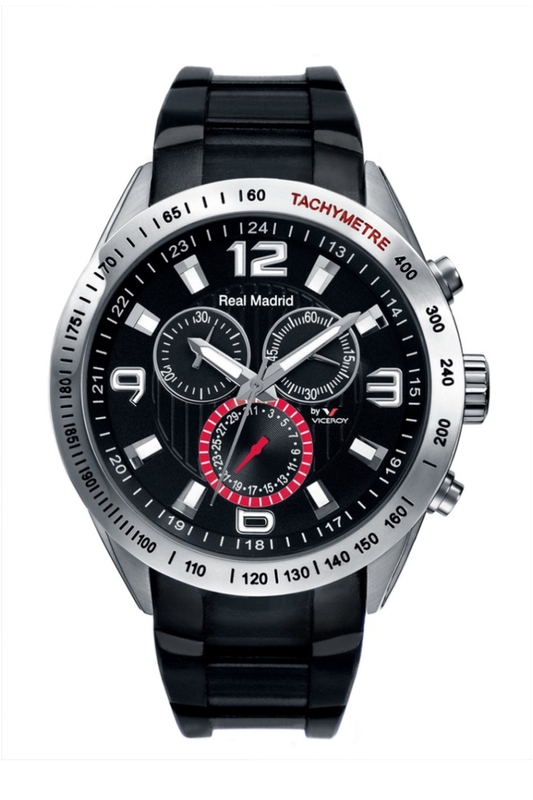 This dramatic 43 mm watch provides all the tools you need to time a soccer match, or any other sporting event. With a 30-minute totalizer at 10 o’clock, a small running seconds sub-dial at 2 o’clock and a third sub-dial for tracking the date, you are in command of any situation. The chronograph features a convenient tachymeter scale engraved on the bezel and a 24-hour scale on the chapter ring. A durable mineral glass crystal protects the beautifully detailed black and red dial. With its large luminous indices and luminous pencil hands, the watch is easy-to-read even under difficult lighting conditions. The precision quartz movement that powers this versatile chronograph is housed in a massive stainless steel case with the Real Madrid coat of arms engraved on the case back. The case is water resistant to 165 feet and has been fitted with a comfortable 23 mm soft rubber strap attached with a tang buckle. If you’re a fan of the Real Madrid football club, or a fan of fine timepieces, you’re going to want the Viceroy 432835-55 Real Madrid Chronograph on your wrist in the very near future. Like everything produced by Viceroy’s expert watchmakers, the Real Madrid Chronograph showcases the company’s commitment to quality craftsmanship and impeccable styling. To put one of these impressive timing tools on your wrist, contact an authorized Viceroy dealer immediately. The Real Madrid Chronograph is a brilliant accessory for any sports fan and a rarely seen addition to any sports watch collection.